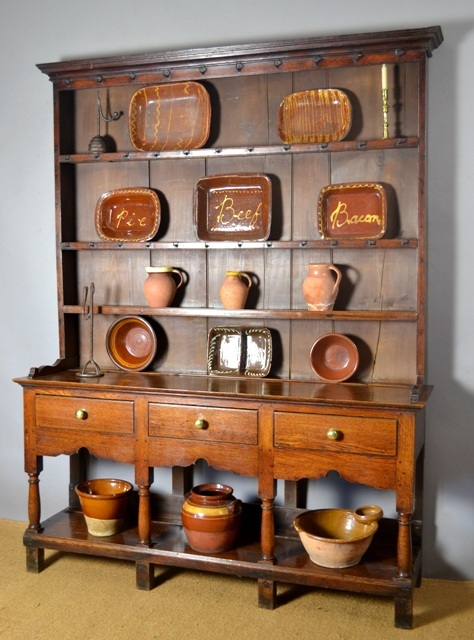 A classic Cardiganshire oak pot-board dresser. 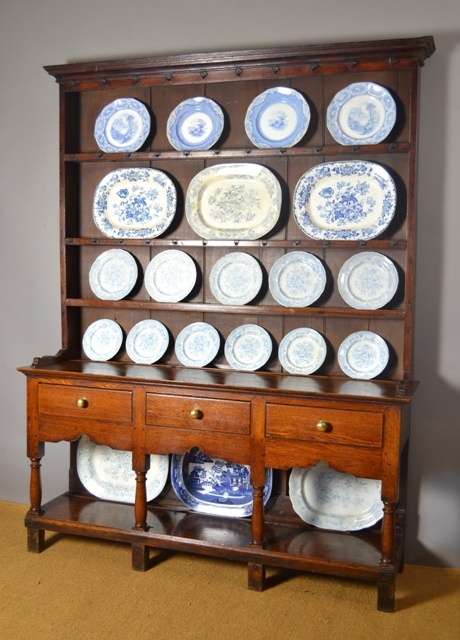 The open rack has a moulded cornice and with original iron cup hooks to the shelves. 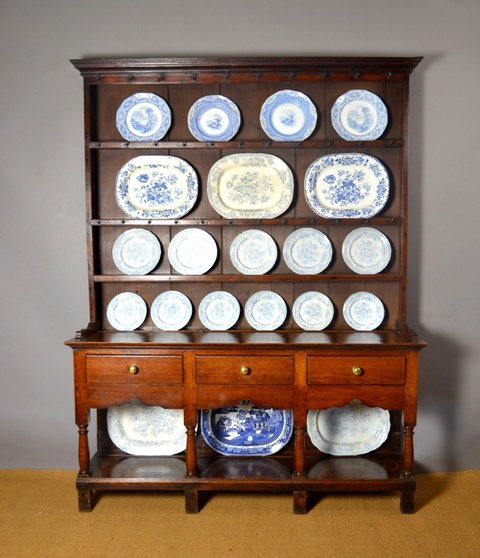 The base has three drawers with brass handles, a shaped frieze and turned legs which are united by a pot-board. Good nut-brown colour.